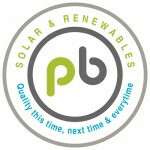 We are a UK Government approved MCS accredited Solar (PV) installation company based in South East London. Roof: South facing. Pitched and tiled. No shading. 3 window on roof. Open to advice on the size of the system needed. Install within 3 month. Contact anytime. Flat rood. No shading. No windows. Open to advice on the size of the system needed. Install within 1 year. Contact 9am - 12pm. Small 6 panel system which is 7 years old. Need a quote for a system check and efficiency assessment. Contact within 1 month. Call anytime. Solar Thermal: Roof Faces North/South, Pitched and tiled. No Shading. Timescale within 1 month. Contact after 5pm. Solar PV: Roof Faces North/South, Pitched and tiled. No Shading. Timescale within 1 month. Contact after 5pm. Need someone to take down my existing solar system. Then after I have a loft conversion - re install it. Roof is S/SW facing. Pitched & slate. No shading. No windows. Open to suggestions regarding system size. Install ASAP. Contact anytime.